McGrath Motorsports has Championship year with both drivers. After the dust settled from Chandler AZ and the awards presentation concluded Jeremy McGrath earned the top spot taking his first Pro 2 Championship. He was also awarded the Rick Huseman award of innovation. “I am very honored to receive this award and get the championship in 2017. I have been working for almost 10 years in short course to get here. 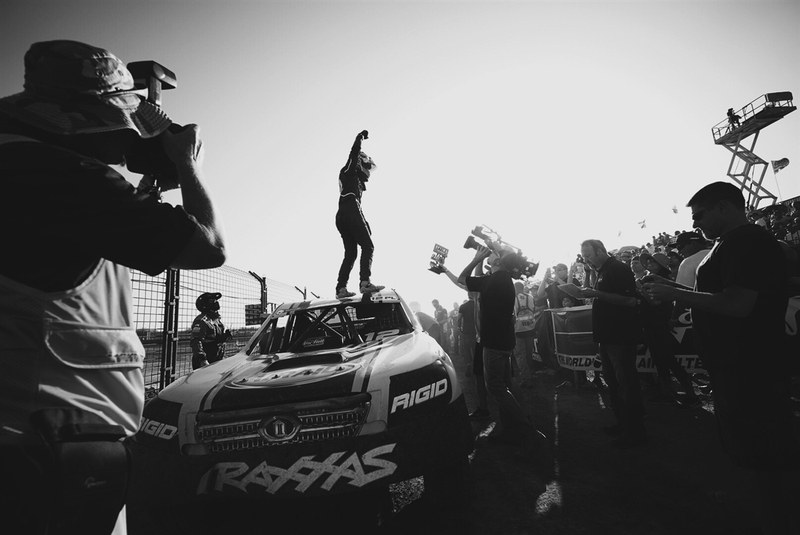 This Lucas Oil Series and its competitors are like family and it means a great deal to me. I couldn’t do it without the support of my family, my dedicated hard working crew and sponsors that believe in me. Thank you Maxxis Tires, ICON Vehicle Dynamics, Safecraft, Airaid, Traxxas, Rigid and the Bluemedia team.” McGrath said from the stage at the Lucas oil banquet. 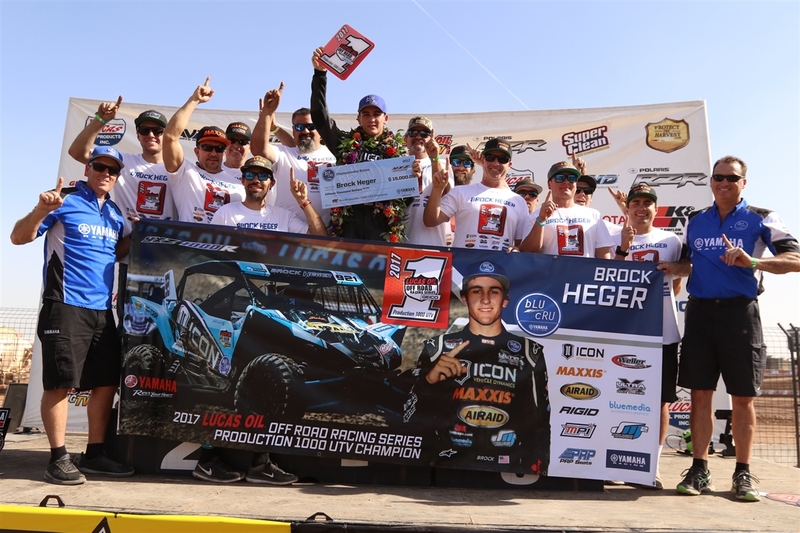 Brock Heger dominated the 2017 Championship run in the UTV Production 1000 class. Heger posted 6 wins, 2 seconds and 2 thirds in his Yamaha YXZ to capture the title. 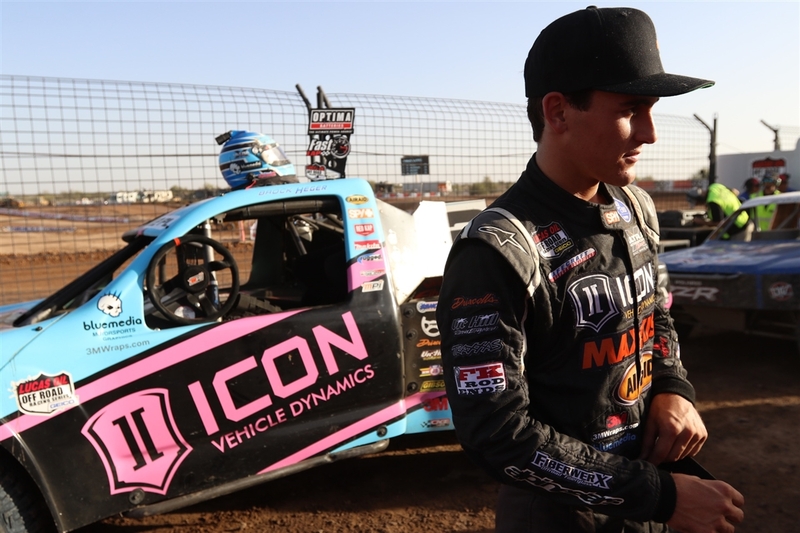 Brock also had an amazing run in the Pro Lite category taking more wins than any other driver including the win on Saturday 6 wins, 2 seconds and 2 thirds. Unfortunately, the # 12 truck was damaged at two races and could not finish. Brock took a very respectable second overall in the championship behind good friend Jarrett Brooks. As if the 2017 season could not get any better, the JM2 team was also awarded the Lucas Oil Off Road Team of the Year. “It’s really an unbelievable feeling right now! Off road racing is a ton of work and long hours, but every member of the team does their job and truly loves racing and being at the track. Thank you very much for an awesome season Lucas Oil.” Said team owner Jeremy McGrath, who also said the team will be back in 2018 to defend his Pro 2 title. 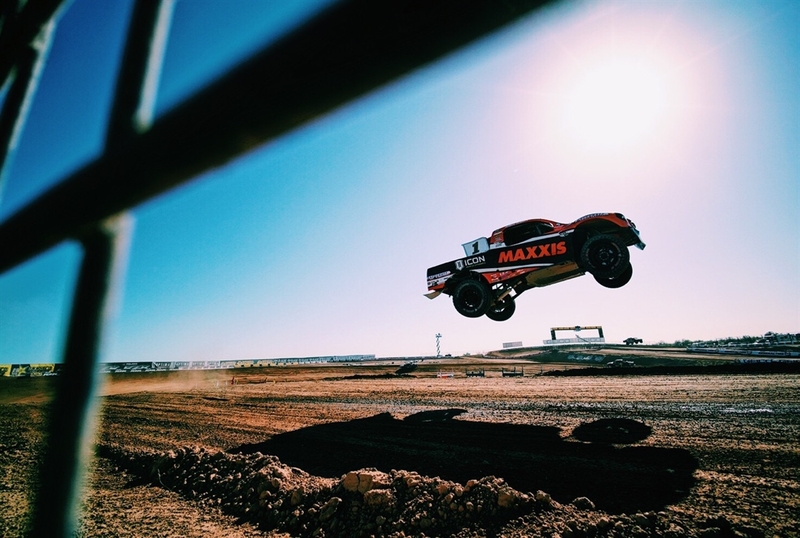 The entire JM2 team would like to congratulate Maxxis for receiving ‘Tire Manufacturer of the Year.’ Great Job Maxxis and thank you for everything.